NETGEAR recently showcased its most admired flagship product, the Nighthawk Pro Gaming Wi-Fi router (XR500) at IGX Mumbai. The event witnessed a huge footfall of gamers where they got a chance to try out on the latest and most popular games and software. 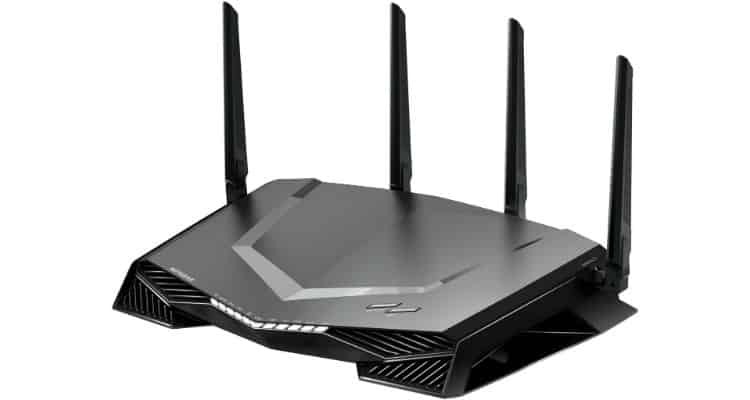 The groundbreaking NETGEAR Nighthawk Pro Gaming WiFi Router (XR500) leverages advanced cutting-edge software to optimize network connections by stabilizing ping, reducing lag spikes, and keeps you always on with reliable wired and wireless connectivity for advanced online gameplay. The Gaming Dashboard, Geo Filter, Quality of Service (QoS) and Network Monitoring capabilities enable customization and gaming performance unmatched in the router space. NETGEAR Nighthawk includes best-in-class hardware features such as a dual-core 1.7GHz processor, Quad-stream Wave 2 WiFi with MU-MIMO, and four external high-power antennas wrapped up in an aggressive and formidable enclosure. NETGEAR Demonstrates its Nighthawk Pro Gaming Router at IGX Mumbai 0 out of 5 based on 0 ratings. 0 user reviews.